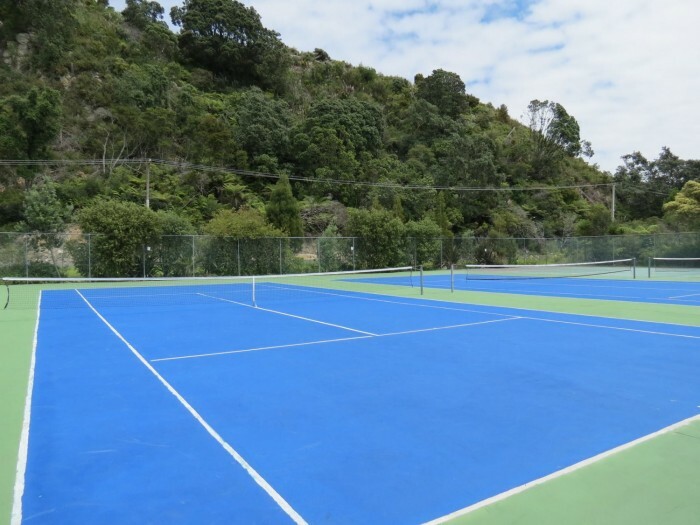 All levels are welcome at the Cooks Beach Tennis Club on the Coromandel Peninsula and the tennis courts are available to use for anyone interested in a game of tennis. The three tennis courts have an artificial tennis surface and there is also a basketball hoop on site. (see facebook link at the bottom of this page for updates). The Tennis Club is a great place to improve your tennis skills and meet new people. Contact our club or view the link to our facebook page below to find our when we next meet. * please contact the Club as charges may be subject to change. The club organises Twilight tennis on a casual basis - All levels welcome (small charge for non members and free for members).